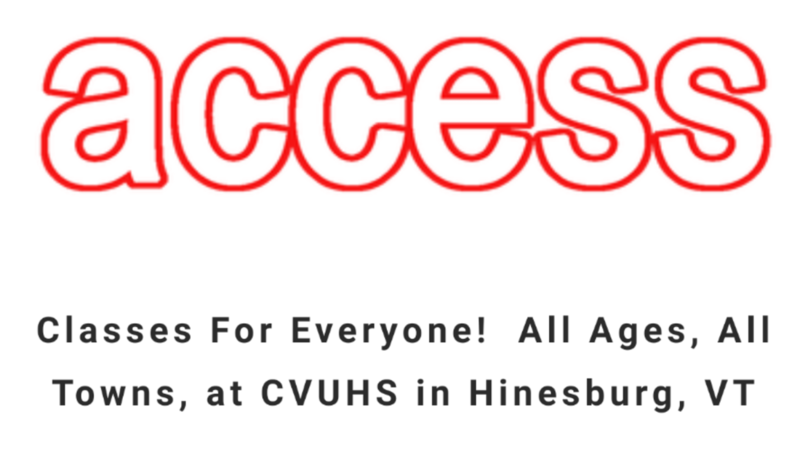 through Access CVU, Adult Education. 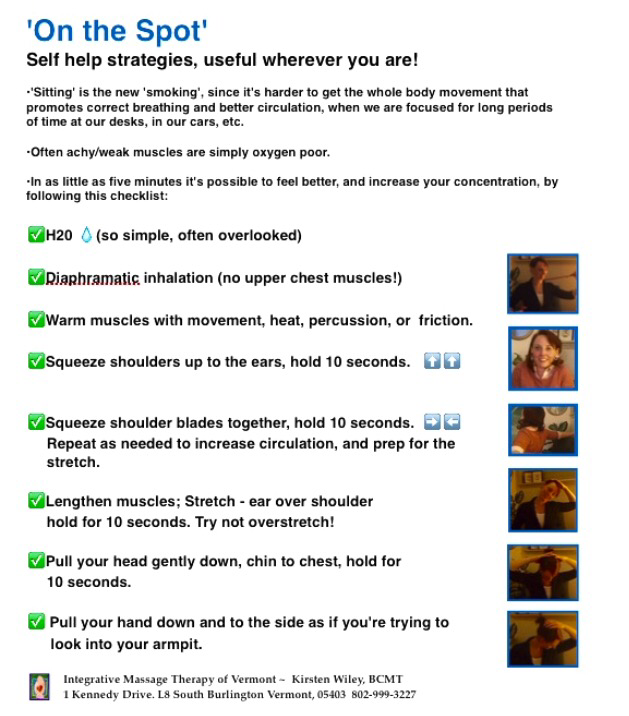 Have you always wanted to know how to best give a therapeutic neck and shoulder massage to help someone reduce the effects of stress and common postural work habits? 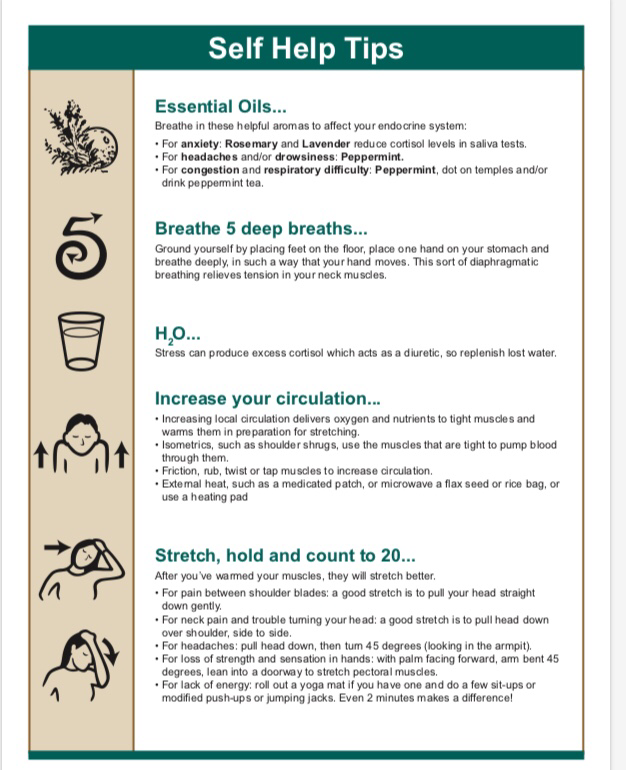 Join Kirsten, a certified massage therapist, to better understand the common causes of headaches, neck aches, weakness and numbness in upper extremities. No experience or partner is required. In this workshop we will talk about factors around insomnia and go over 9 acupressure points to help relax into sleep. 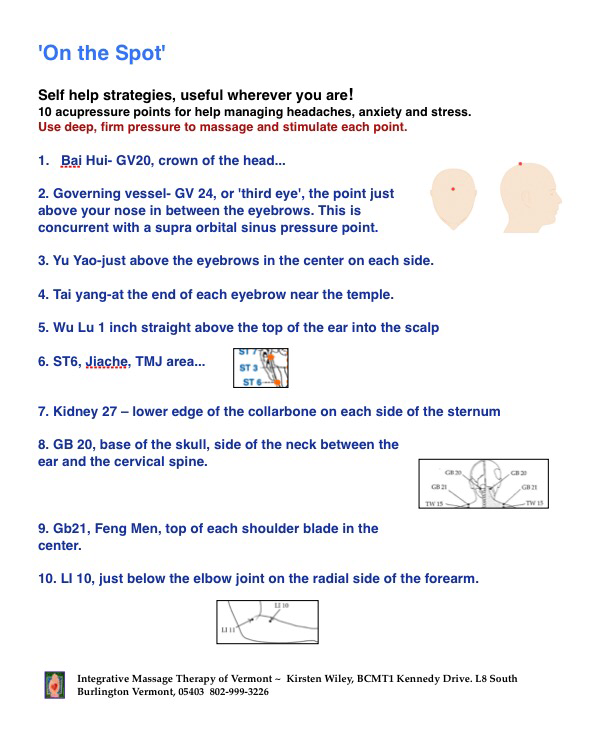 The treatment protocol is based on education in Beijing in 2010, where acupressure is used widely for a variety of complaints. There will be a handout and practice time in class to learn self-help and help for partners. Bring your favorite pillow!